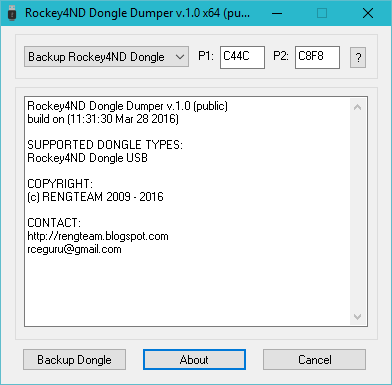 Feitian Rockey 4ND dongle dumper version 1.0 available for download. Dumper can be used to backup these dongle types. For more info about usage check included readme.txt and history.txt and HowTo Get Passwords.txt files. 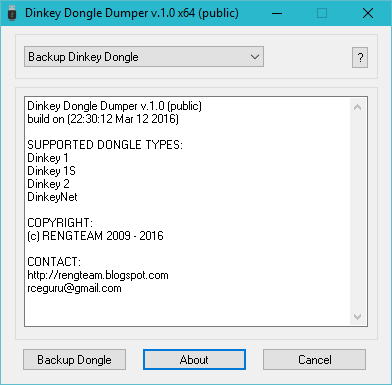 Microcosm Dinkey Dongle dongle dumper version 1.0 available for download. For more info about usage check included readme.txt and history.txt files. 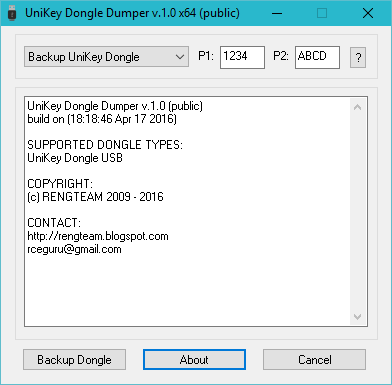 SecuTech UNIKEY dongle dumper version 1.0 available for download.